I know I am. And I have for some time. When I was getting ready for the national championships in Olympic distance triathlon, my coach gave me 3 months worth of pre and post workout supplements. I had never used them before, but boy was I hooked! The very first day I took the pre workout I could feel the difference. I felt stronger, could work harder, and just generally felt better during my workout. I took them from then on. The only problem was the one I took preparing for nationals was $3 a dose… way to expensive. Since then I have tried many, but the one I have settled on, and am pretty much addicted to, is Bucked Up. Now, before I tell you why, you should know that not all pre-workout drinks are created equal. -39 of 47 contained at least one flagged ingredient! Flagged ingredients range from just plain unhealthy to carcinogenic. -Most of them used “proprietary blends,” so they didn’t disclose quantities of some of the ingredients. 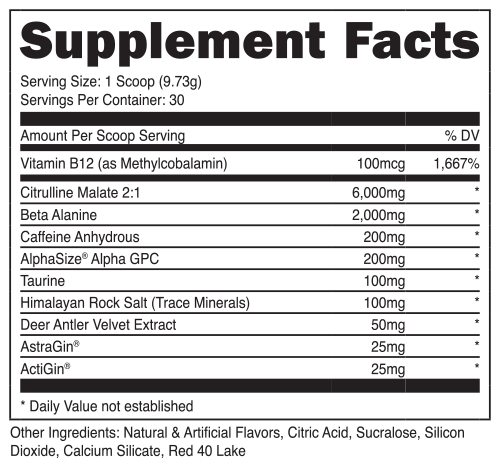 This isn’t unusual in the supplement industry, but in a pre-workout drink it often is a way to disguise low quality ingredients, or hide the fact there are very low quantities of high quality ingredients. -24 of them did not specify containing caffeine, yet they contained over 200 mg! Citrulline Malate. Turns into l-arginine in the kidneys. Again, tons of benefits to this. Beta Alanine. Basically, this super-charges your fast twitch muscles. Caffeine Anhydrous. (200 MG). Gives you a boost of energy. Especially helpful if you work out early in the morning, like I do. From dozy to workout ready in about 20 minutes. AlphaSize GPC. A clinically proven ingredient that optimizes muscular power output, sharpens agility, and also delays mental fatigue. Taurine. Increases your VO2 max. Himalayan Rock Salt Trace Minerals. Contains over 80 trace minerals, aiding in the prevention of cramping, over training, muscle fatigue, injury & recovery. AstraGin. Clinically proven to increase up-take of citrulline. ActiGin. A 2015 published human clinical study found the following results: increased glycogen recovery by up to 370 percent, increased high-intensity endurance performance by up to 20 percent, and decreased oxidative inflammation up to 69 percent after high-intensity exercise. 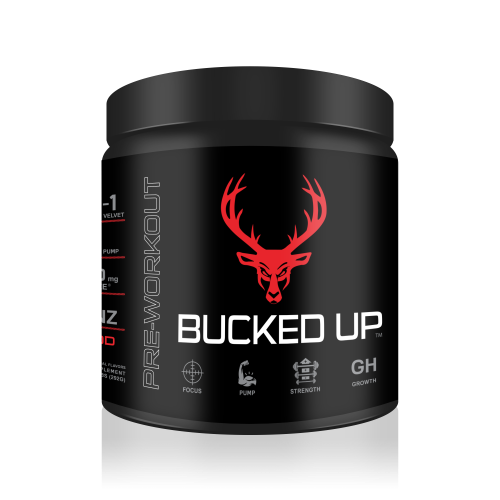 So if you are looking to try a pre-workout drink, or just tired of the one you are trying, I recommend trying out a bottle of Bucked Up. After trying at least 10 different brands over the last few years, I haven’t switched again since starting on this one about a year ago. And one other nice benefit, unlike others I tried, after a few months they all felt like they got less and less effective. My experience with Bucked Up is that it works every day, for every workout. It’s available on Amazon, here.